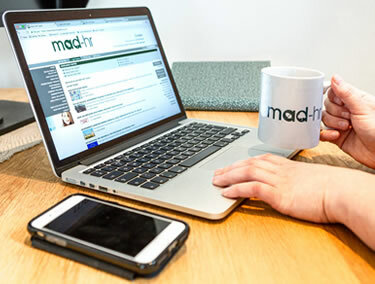 It occurs to us at MAD-HR that many small business owners may think that you don’t need to worry about Modern Slavery as the Act is directly linked to high turnover of a company. However, the truth is, if your business supplies others that have a turnover of more than £36m then the Modern Slavery Act will affect you. We think that sharing this case study is a useful way to introduce some of the issues that SMEs need to get to grips with in order to protect your businesses. A chicken-catching company has become the first British business to be found liable to compensate victims of human trafficking. Six men from Lithuania had claimed that they were severely exploited. That included being denied sleep and toilet breaks, and living and working in inhumane and degrading conditions. The company has been ordered to compensation for, among other things, unlawfully withholding wages and depriving the men of facilities to wash, rest, eat and drink. The level of that compensation is yet to be decided. The men were reported to have worked on farms, eggs from which were supplied to businesses that sell to supermarkets. It’s a warning to employers that modern slavery in supply chains is a very real possibility. If you haven’t yet got to grips with your obligations to eradicate modern slavery – which includes servitude, forced or compulsory labour and human trafficking – from your business and supply chain, do it now. Even if you are not one of the £36m+ turnover businesses that has to publish an annual statement on this, your place in their supply chain could be in jeopardy if you don’t also ensure that your own suppliers, and even your suppliers’ suppliers, aren’t engaged in some form of modern slavery. Among other key actions you need to take, such as truly getting on top of who you do business with, through relationship management, business analysis and communication, you must ensure that your business has a clear stance on dealing with modern slavery. Our Online HR Toolkit includes a template statement to quickly address just that. In fact, it includes tempates, policies and documents for almost any HR related situation. All up to date and all downloadable. If you would like to talk through any of the issues raised in this blog, please feel free to book a free consultation with one of our team. For now, you can book a FREE no obligation demo, to see how the Toolkit can work for you and your business. Do have a look at our Blog on Slavery and Human Trafficking Statements. Modern Slavery Act 2015 - What are the implications?